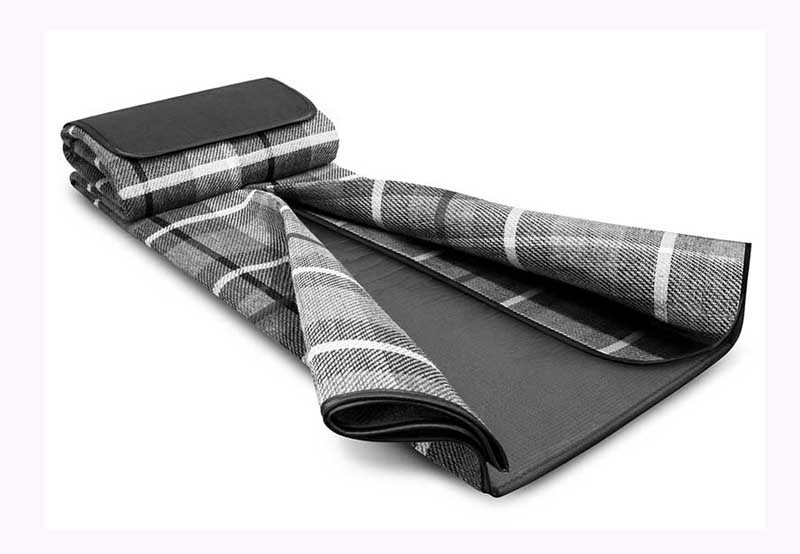 Picnic Blankets are a MUST for summer outings at the beach, at the park or an outdoor concert in fact just about any situation where you would want to rest comfortably without worrying about any dirt or debris ruining your clothes. The most useful for sitting on are the styles that have a waterproof backing and can be folded up, secured with a Velcro closure and have a carry handle. 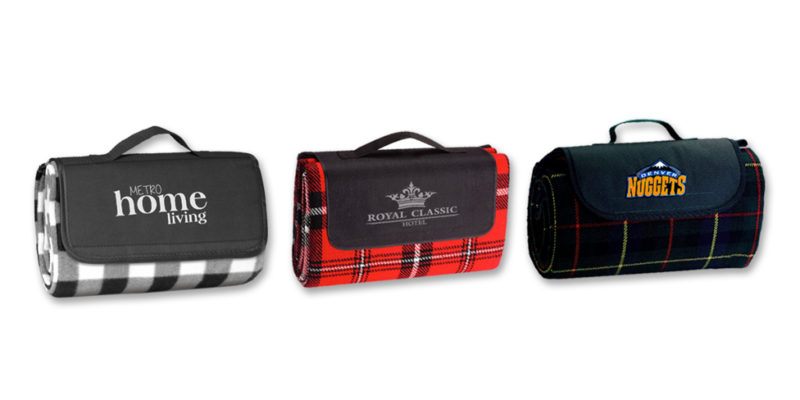 Most of the picnic blankets available are either manufactured in polyester fleece or woven acrylic. 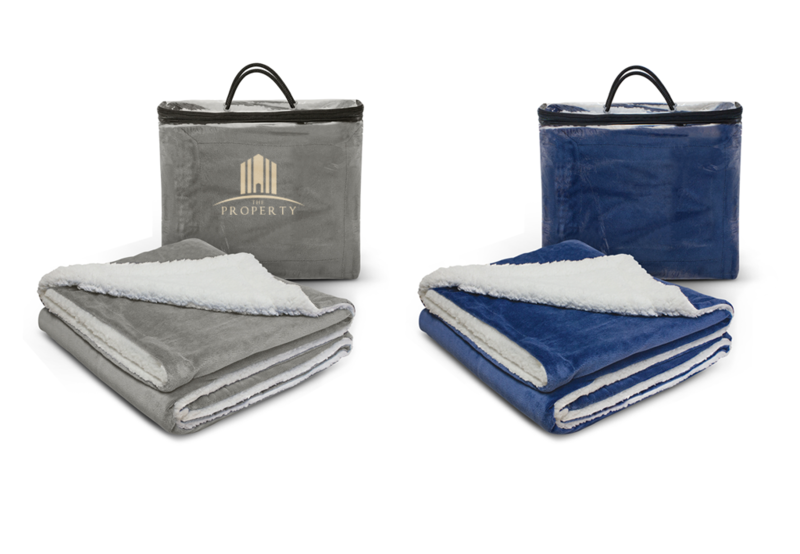 There is also a selection of blankets available that are made to be used at outdoor events for warmth rather than sitting on. These are manufactured in soft fleece for maximum winter warmth. Most picnic blankets can be branded using the following techniques. Screen print: On the fold over/carry bag only. Large print areas are possible and it is ideal for large solid areas of colour. Digital transfers: On the fold over/carry bag only. This method produces crisp, clear artwork reproduction even on textured fabrics. It has a matt finish and will not crack or fade under normal circumstances. It is a cost-effective method for producing spot colour or full-colour transfers. Embroidery: On the blanket or the fold over/carry bag. 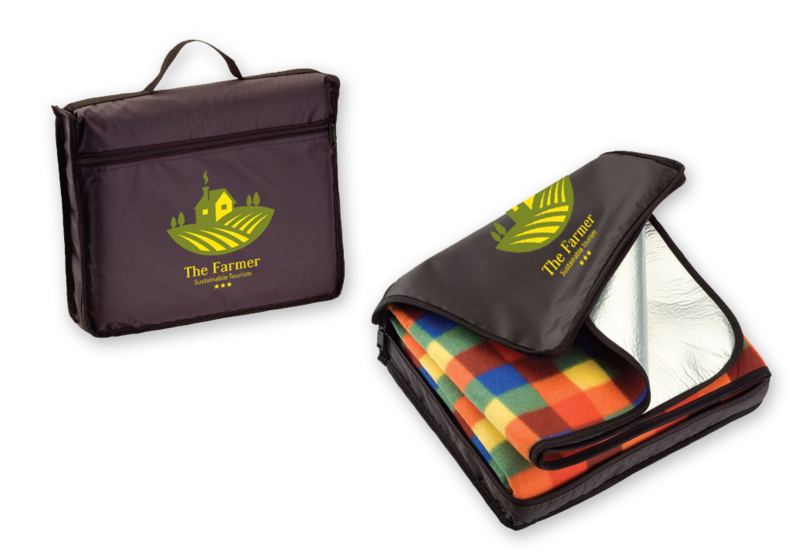 It is an excellent way of branding picnic blankets as it has a higher perceived value and a depth of branding quality which other processes cannot match. Embroidery uses rayon thread stitched into the product which gives the finished image a slightly raised effect.